Brave (P), jjakji (T), KySarr (Z), MadBull (P), SalvatioN (T), SSanaEE (Z), Tassadar (P), and Tible (Z) to Leave NSH? True (Z) From Team 8 to Retire? Maybe Not? That mind game GIF is awesome. I think nkqadei just scroll straight to the fluff section. Thanks for the post as always.! Hahahah that mind games. Wow haha. Hahaha! Mindgames! I would probably have lost to that just because I would be laughing so hard. Also, the thing about True! I hope that since he 2-0'd JYP, he's not retiring. LMFAO mind game!!! Awesome stuff! 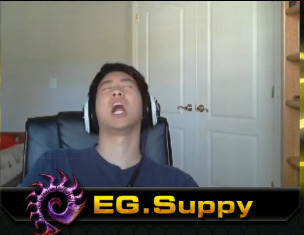 I wasn't prepared for that Jaedong interview. Oh wow. Blizzard should really put the WCS Today/Top 5 in the client. They're really good but if it wasn't for JJ's weekly segment I probably wouldn't see any of them. I was laughing so hard at the mind games gif I almost sharted. Be careful in the fluff kids. Should be "runs an SC2 piece"
I think he's planning to retire after his contact expires after PL season ends. So he'll continue to play in what tournaments he's involved in until then.